Can we update an existing document in our website without losing the links to that document? YES WE CAN! A good example of the old way is to think about a document that is updated annually, like a policies document. While straightforward, this process has its quirks. The new document that has been uploaded is given a new file name and a new file address has been created. Any links to the original document on your site are now broken. This is not a disaster if the links are all within your own site and can be easily corrected However, what if you have a dozen policy files to update? 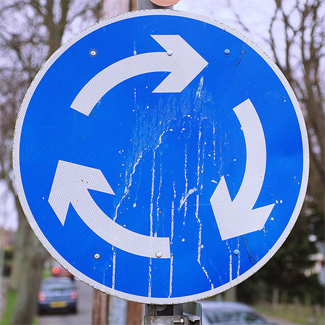 Even more critically, what if the links are outside of your site? There may be many other sites that link to your document. If these are broken, we now have a problem that we can not fix ourselves. You could try to send the new links to the managers of those other sites, but you can see what a huge problem has been created. With a WordPress Plugin called Replace Media we can now edit, save, and swap the old document with the new version. 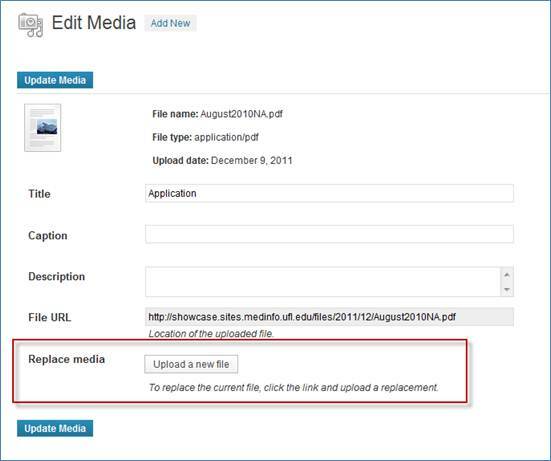 Replace Media keeps the same file-name, thereby keeping the same URL or file address. Links to the document are now preserved and there should be no broken links or complaints from your users that your files are inaccessible. Replace Media works within the Media Library. Find the old file and choose edit. There is now a button in the edit dialog box named Upload a new file. This works very well for various media files such as .PDF”s, .DOC’s, .XLS, and .PPT, files. We have some detailed step by step instructions on using Replace Media in the How to Section of our Web Services site. Photo by Thomas Riggs, Flickr.